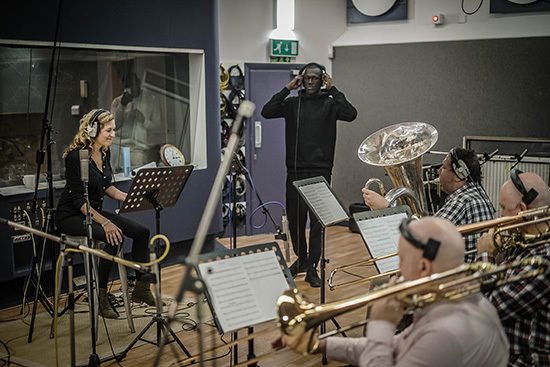 They recorded Brass on ‘Cold’ and 'Mr Skeng’ and strings on ‘Cold’, Mr Skeng’, 'Bad Boys’ and ‘Don’t Cry For Me’. ‘Don’t Cry For Me’ was a collaboration with Stormzy and Raleigh Ritchie. Orchestrations and Arrangements written by Rosie Danvers, Performed by Wired Strings and Brass, Produced by Fraser T Smith, Engineered by Nick Taylor and Recorded at Air Edel, London, November 2016. This tune’s got some beautiful strings, some big orchestra strings. 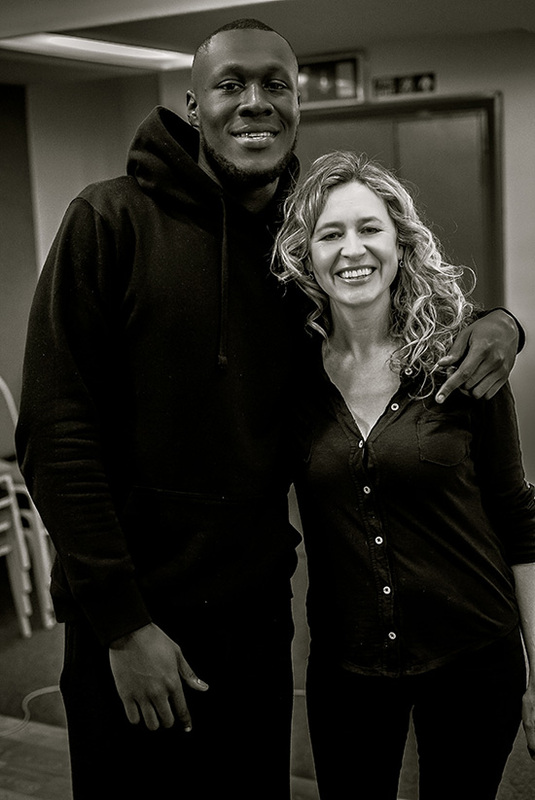 We done a whole live day for the album; we had a lady called Rosie Danvers who does strings for loads of amazing people: for Jay Z at the Albert Hall, for Kanye. She’s amazing. We got brass and woodwind instruments and string instruments, and we got them on loads of different songs. Then after, I went through and said, “Okay, that doesn’t work, that kinda works, that kinda works. With “Don’t Cry For Me,” it’s got some strings on there that took the riddim to the level. Rosie smashed it. Strings, woodwind and brass Arranged by Rosie Danvers, Performed by Wired Strings and Brass, Produced by FraserT Smith, Engineered by Nick Taylor and Recorded at Air Edel Studios, London.